As a virtual assistant it’s easy to get caught up in the whole “I work online thing” and avoid interaction and networking locally. But, you can find some of your most long term and loyal clients locally. Many small business owners cannot afford to hire someone full time,but they still need help. That’s where you come in. 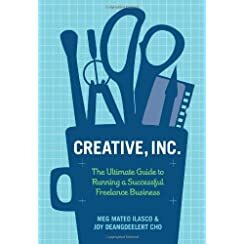 If you can do all the tasks for them that they need done administratively (or otherwise depending upon your niche) in 10 hours a month, even if you charge 45 dollars an hour it’s less expensive for the local business than hiring an employee. Likely, you’ll be able to get a lot more done in those 10 hours too. Finding local network events to attend is simple. Do an Internet search for networking events in your city and state. Look in your newspaper for advertisements, and if there is a professional branch or industry association of some kind, look to them to help you find local networking events. Check on Meetup.com, your local SCORE.org office and with your local business groups and the chamber of commerce. You’re likely to find so many events that you won’t have time for them all. While it’s fun to network with others who do the same thing as you, if your goal is to get more business you need to network with your target audience. For instance, if you want to do administrative work for local real estate agents, or local builders you’ll need to network with them. If you want to offer your services to local barbers and salons, you need to go where they go. Figure out who your niche is, and find their groups to attend. Where there are events, there are needs for speakers. Some organizations can pay speakers but some cannot. If an organization is local, consists of people who might contract with you, then providing a few minutes of free speaking on a topic of interest to them can help you advance you career in many ways. Much like content on your website can attract clients, so can the content of your speech. Depending upon what type of services you provide and what your niche is you can start your own networking group. You can arrange through Meetup.com. For instance if your niche is Graphic Design you might start a group where you will teach the people who attend how to find and get the best graphics for their websites. You might even teach WordPress for beginners. Many of the people who come may learn but they may hire you to do it for them instead. Your local Chamber likely caters to larger businesses than yours, but that’s okay. There will be a lot of things that you can get involved in with your local chamber from speaking, to ribbon cutting, to even volunteering your services right in your niche to help advance the cause of the organization. Once you become involved in Chamber activities members will want to work with you. Get out of your comfort zone. Put together a portfolio of your work and go door to door to small offices, churches, civic organizations and mom & pop stores leaving your information for them to take a look at. If you join the Chamber often times you can get in on their monthly mailing to get information to local businesses about your services. Let people know what you’re doing, and you’ll get more business. You may have to educate local businesses more about how you do your work, but it will be worth it when you get new clients. Don’t be afraid to get involved in local networking events. As a Virtual Assistant your clients can live anywhere, why not in your own town?